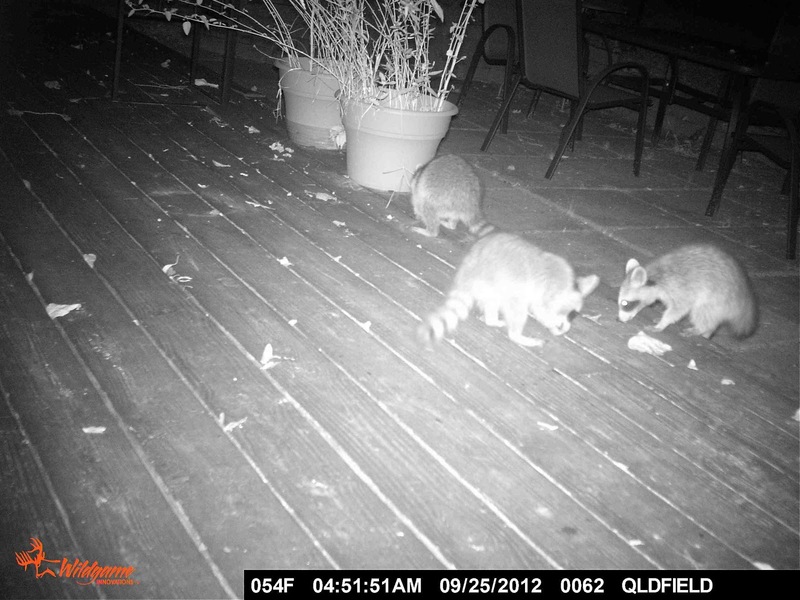 BaitRageous: Raccoons partying on the patio! Have you ever wondered what happens on your patio at night when you are all curled up in bed, was there a party going on that you weren’t invited too? 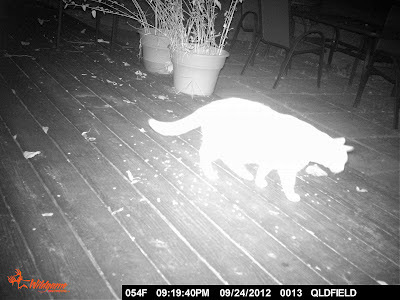 Well, I haven’t thought much about it either, until I noticed a flash of something running across the patio when I turned the light on to let the cat out. What was that? I’m not sure, but I decided to find out just what happens on the patio after hours. 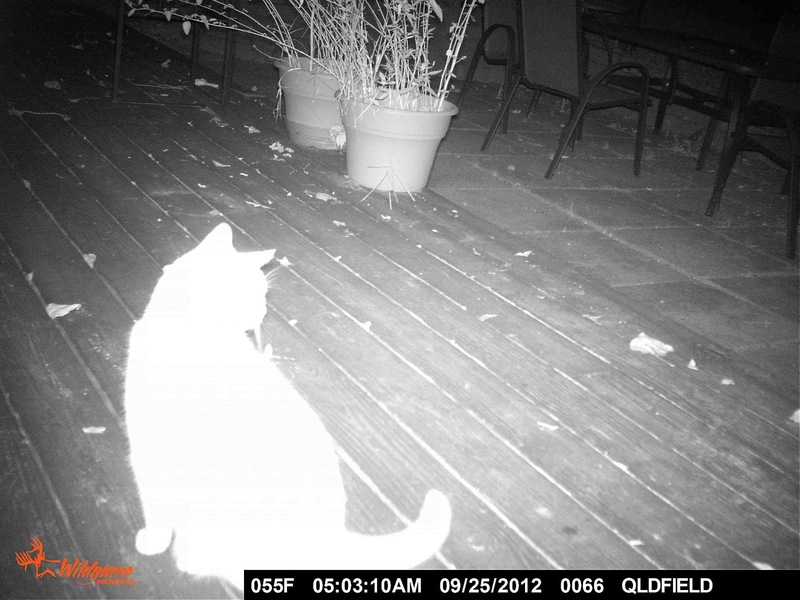 I set up critter cam, my night motion camera and placed a small amount of cat food near. Here’s what happened! 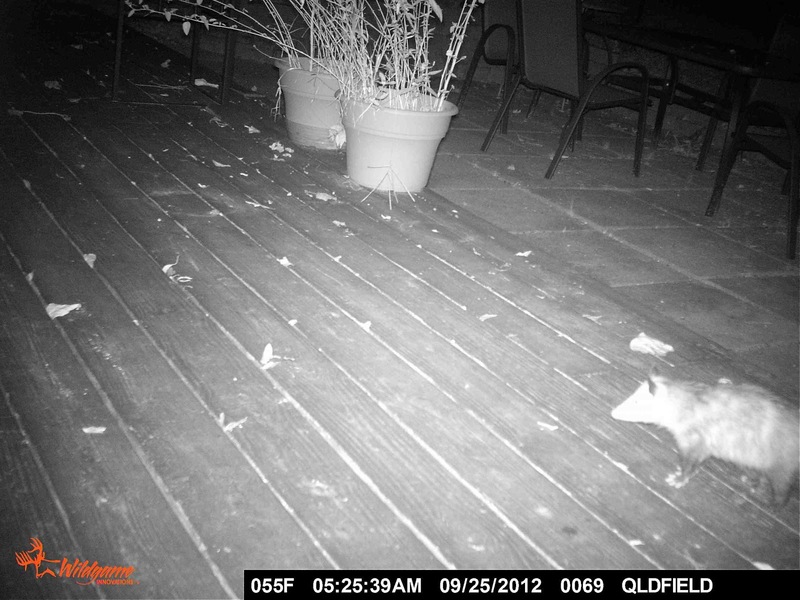 8:38pm and first out is a possum looking for the all you can eat buffet. 9:19pm our cat drops by looking for action. 5:03am the bouncer drops by and asks the raccoons to leave. 5:25am and the cleaning folks come by to tidy things up. 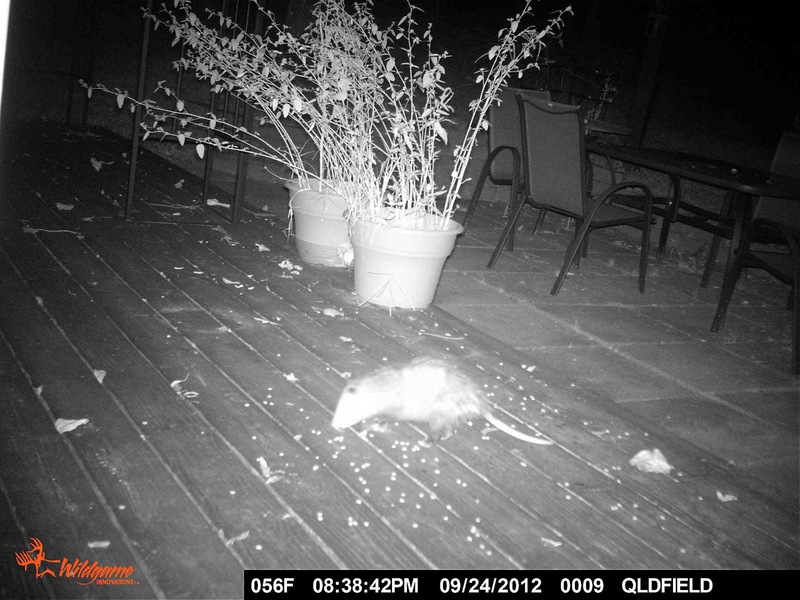 What happens on your patio when you are a sleep? Hi, Larry. 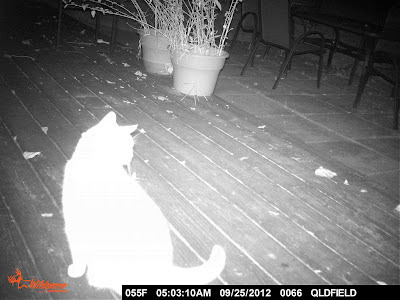 Thanks for sharing the porch activity. 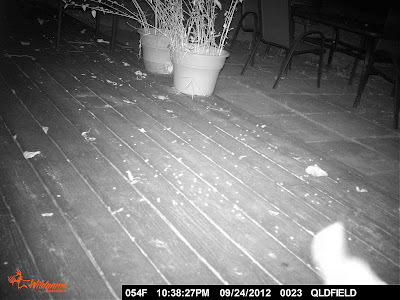 Just goes to show you that there is a "night" crowd some of us know nothing about without surveilance! Hey Mel, hope you are doing well! Hey Larry. I'm sure we have plenty of partying going on around the house. 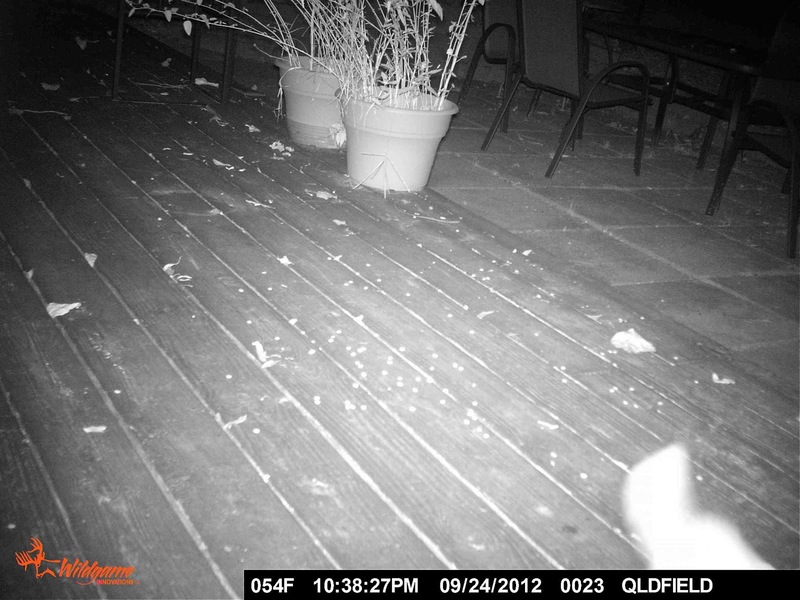 It's the ones that trigger the motion sensor light that I worry about.